Meet the Miller & Hobart team and learn about career opportunities at a world class welding organization. Pizza & refreshments provided! 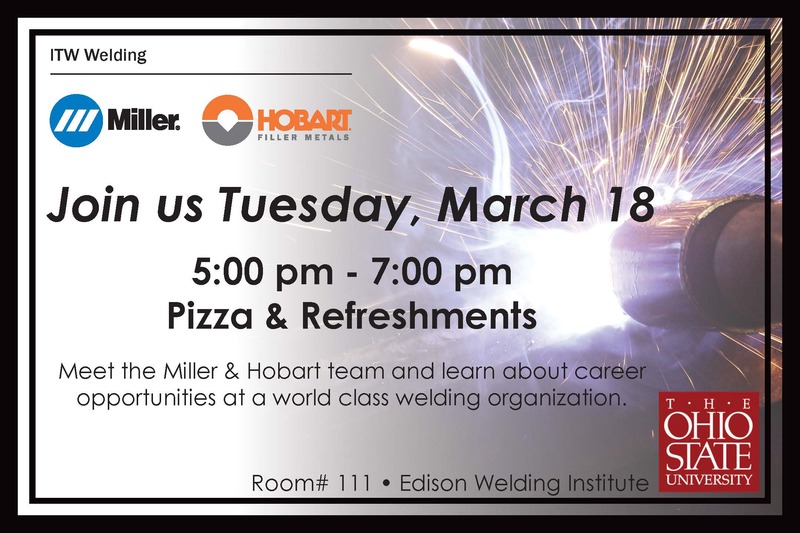 Meet the Miller & Hobart team and learn about career opportunities at a world class welding organization.